Seating supplier Adient said it agreed to buy Futuris Group for $360 million. 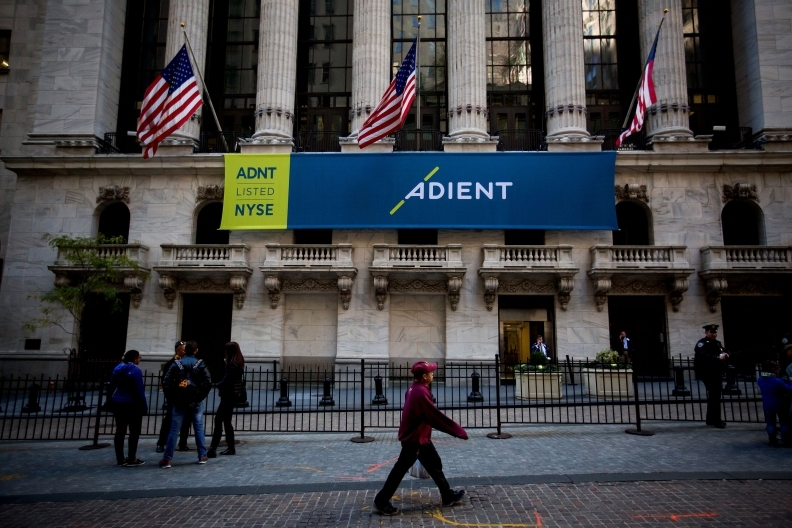 Adient said it expects its purchase of the automotive seating and interiors supplier to add $500 million in revenue per year, according to a statement on Monday. The deal is expected to close around Sept. 30. The price tag includes assumption of $18 million in net debt. Futuris is owned by affiliates of private equity firm Clearlake Capital Group. Ford Motor and General Motors are among its customers. It serves automakers through 15 operations in North America and Asia. Clearlake aquired Futuris in 2013. With the acquisition, Adient expects to improve logistics and purchasing, as well as overall efficiency, the release said. "Futuris has a rapidly growing book of business that strengthens our position with West Coast customers, improves our utilization rates in North America and expands our business in Southeast Asia," Adient CEO Bruce McDonald said in a statement.